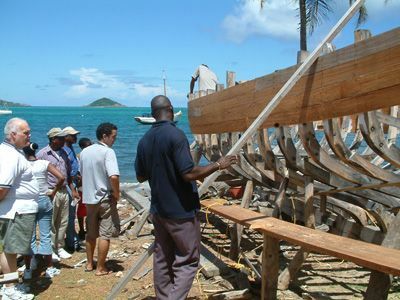 Take time to learn about the unique traditions and rituals that are part of the boat building in Carriacou! Visit the Museum and see the Carib artifacts. 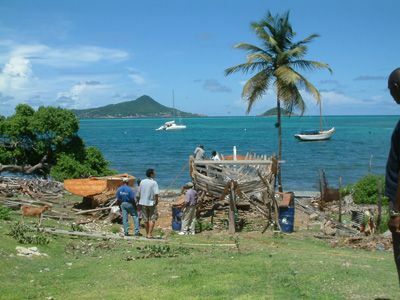 Escape with us on this “design your own” Eco-Adventure to Carriacou, “Island of Reefs” in the Grenadines. The ferry between Grenada and Carriacou takes just over an hour, alternatively, flying from Grenada to Carriacou takes approximately 20 mins. 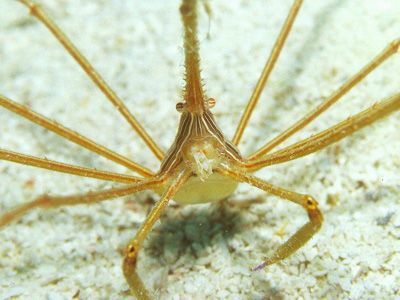 Spend an incredible afternoon in Carriacou, exploring the living colours of the undersea world of our sister island. Be adventurous; try the fresh seafood platter while you enjoy a moonlit dinner at a local restaurant in Tyrell Bay, which is close to Hillsborough, the capitol of Carriacou. 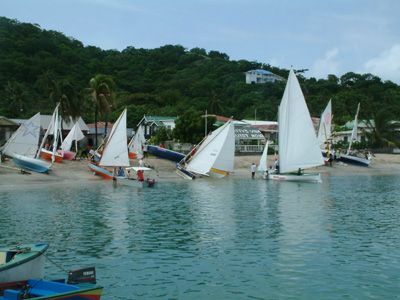 Spend a good night ashore in one of Carriacou’s comfortable guest houses, then set sail from Carriacou in the morning for more snorkeling in the fabulous Tobago Cays, Petite St. Vincent or Petite Martinique, the choice of the northern Grenadine islands is yours. There’s time to truly experience the remoteness of it all and to swim and snorkel in turquoise sea! 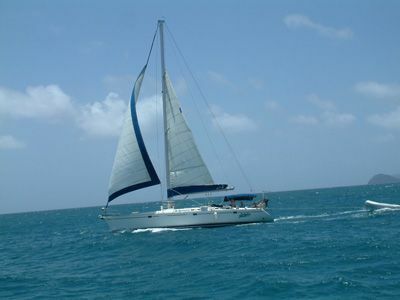 Return to Carriacou and Grenada in the afternoon or spend another night or two in the Grenadines! The length of this tour is yours to decide! Overnight/24 hrs/36 hrs. On request. We have a selection of sailing yachts for charter, complete with experienced captain and discreet cook/crew at your disposal. Alternatively you can spend your nights ashore at one of the Grenadine island hotels. The choice is yours, this tour makes visiting the Grenadine islands easy and enjoyable. Price dependant on number in your party and length of stay.